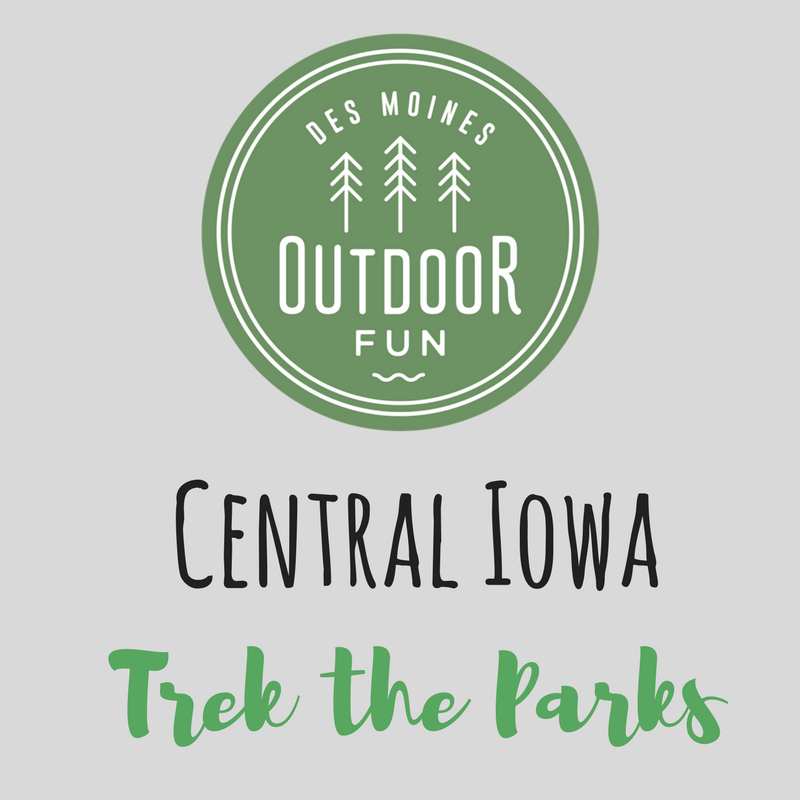 Des Moines Outdoor Fun wants to get you outdoors this summer and explore central Iowa. The communities within central Iowa offer many parks, trails, spray grounds and more, we want you to get out and discover them. The Central Iowa Trek the Parks Challenge will kick-off on June 1 and run until August 15. During this period of time we encourage everyone to visit all 30 parks on our list! 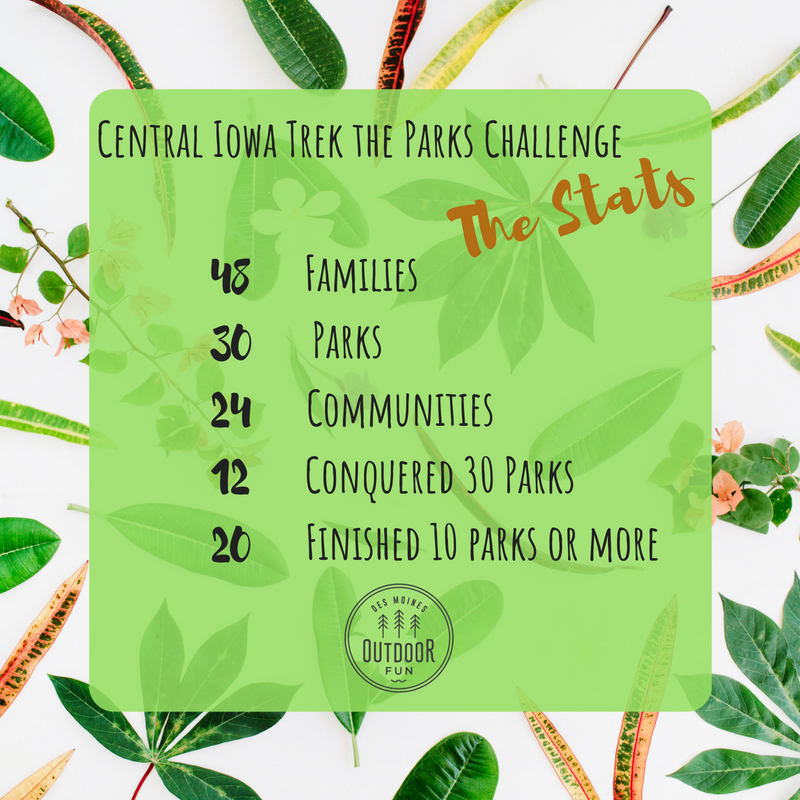 Thank you to everyone who participated in our first ever Central Iowa Trek the Parks Challenge. It was so much fun following everyone on social media as they explored central Iowa. Take a look at the stats! All winners must email desmoinesoutdoorfun@gmail.com to claim their prize! 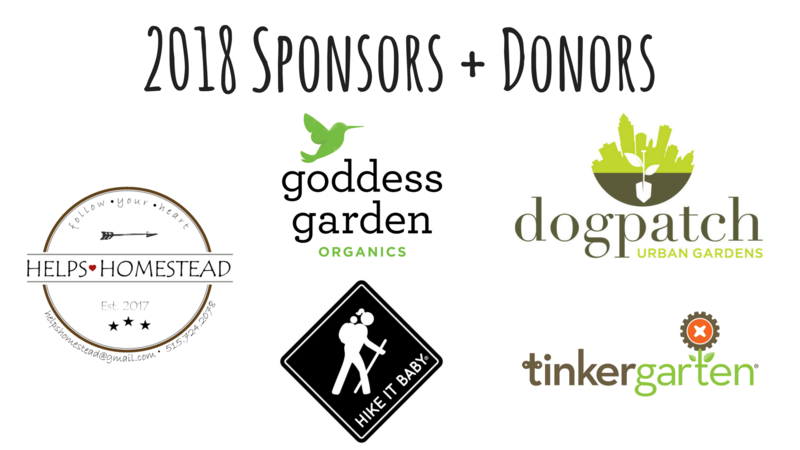 Remember that anyone who completed at least 10 parks or more are welcome to a Tinkergarten Celebration. There are two dates available (September 1 + September 4). Please fill out this form if you would like to join. Download the official list and cross them off as you go! Visit a park on the Central Iowa Trek the Parks list and post a photo of you at the park using hashtag #DSMOFTrektheParks on Facebook or Instagram. If you visit and post on Facebook or Instagram using the hashtag of all 30 parks you will be entered in to win the grand prize. If you visit and post on Facebook or Instagram using the hashtag of at least 10 parks you will be entered in to win a prize. All winners will be randomly chosen and finalized by August 25, 2018. We will post the winning list on our site (Des Moines Outdoor Fun) and how to claim your prize at that time. Winner will be responsible for contacting Des Moines Outdoor Fun to claim prizes as we will only have social media handles to go by. NOTE: Please make sure all social media platforms are set as public, not private, so we are able to see your photos and hashtags. Mud Kitchen designed and built by Helps Homestead. **Must visit all 30 parks and name will be picked randomly. Everyone who visits at least 10 parks will receive a special discount code for $15 off the Fall Tinkergarten session. They will also be invited to a free trial class of Tinkergarten + celebration to celebrate everyone who participated in the challenge. 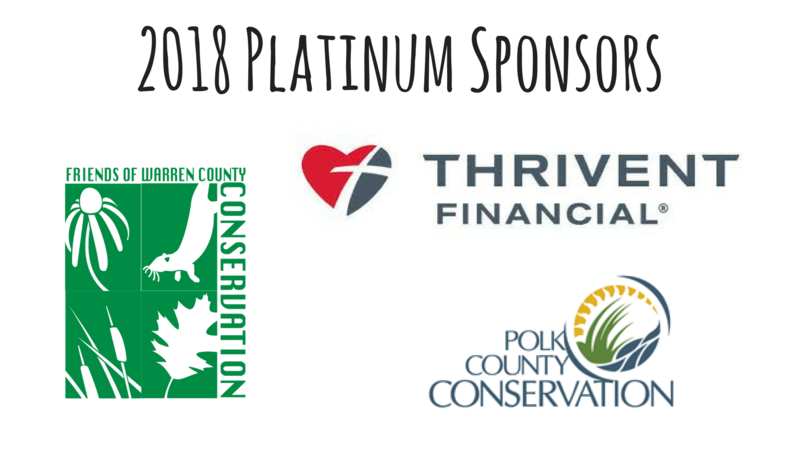 Thank you to all of our sponsors including our Platinum Sponsors Warren County Conservation, Polk County Conservation, and Thrivent Financial.